The loan is not just money, it’s a full economic reform program that needs to be implemented over 3 years and will be reviewed 5 times. After 5 years of political turmoil that severely affected Egypt’s economy, the country breathed a sigh after the International Monetary Fund approved a $12 billion loan to Egypt. Egypt’s economic situation stood in a bad position, with a budget deficit that equals around 12% of the country’s GDP and a gross debt that reaches up to 100% of the GDP while unemployment is as high as 12%. Egypt was after the IMF loan to revive its struggling economy, lower its public debt and control the increasing inflation while avoiding angering the poor who are in need of protection. 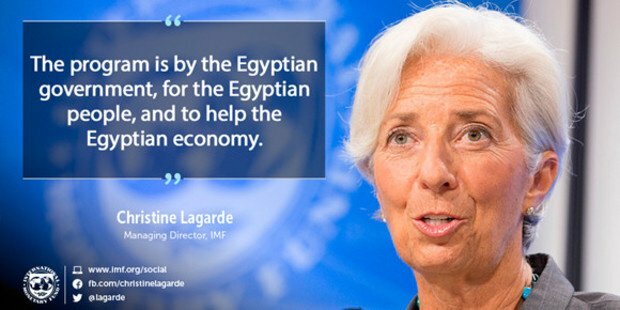 As the head of the IMF stated Egypt is a country with massive potential for growth, this led Standard and Poor change the status of Egypt’s credit outlook from negative to stable. The loan is not just about giving money to Egypt, it’s a full economic reform program that will be implemented over the course of 3 years subject to 5 reviews of reforms. Head of IMF Christine Lagarde stated that the implementation of the whole program is necessary to restore investor confidence. The first step happened as soon as the loan was approved the bank disbursed an initial $2.75 billion to Egypt’s Central Bank (ECB) which immediately increased the bank’s foreign reserves to $23.3 billion, reported the Egyptian state TV. The loan is expected to reduce debt to GDP ratio by 10 percent over the 3 years. The loan will also come along with $6 billion dollars of bilateral financing from China, UAE and G7 countries, along with bonds and bank loans. For all of this to happen Egypt needs to take some reformatory steps like, maintain a flexible exchange rate to increase international reserves, support exports and tourism. 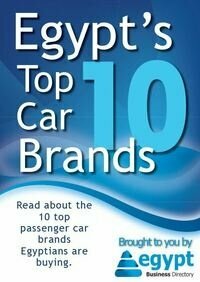 Egypt needs to strengthen government revenues by implementing the VAT excluding the essential food products for the poor. The country also needs to reform its energy subsidies to target better those who need it, this will create resources to be used for health, education and scientific research. Egypt also needs a stronger social protection programs that target poor families and elderly and finally to implement reforms that aim to improve the business climate which will lower unemployment and attract investors.